God Mode is a feature that was revealed by CNet’s Microsoft Correspondent, Ina Fried. It is also noted that you do not have to use “god.” at the start it can be anything you want ie “Bob.” then you can have Bob mode instead. One of the main reasons why you would want to back up installed drivers is if you don’t have the Driver CD that came with the computer or they are unavailable online. This comes in quite handy if you purchase a computer and want to back up the initial set of drivers. It can be quite difficulty for example to find drivers for hardware installed in a notebook if the operating system has to be setup again. Double Driver is a very simple and useful tool which not only allows you to view all the drivers installed on your system but also allows you to back up, restore, save and print all chosen drivers. 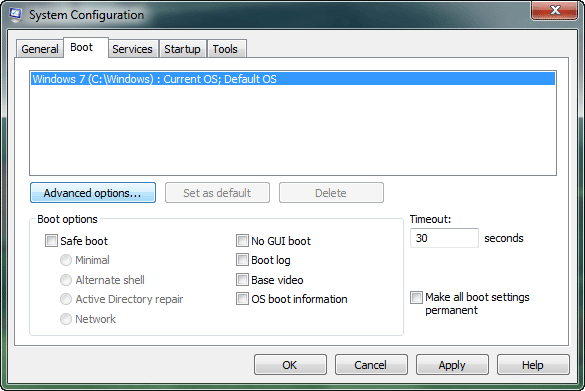 If your system has dual core or multi-core processor, you can utilize it for a faster booting in a few simple steps. By default windows (Windows7, Vista and XP) is configured to start with single processor and then enable muti-core processing when complete booted up in the windows environment. 8)Check the box against /NUMPROC= and select 2 (or other) from the list. Click OK to save the settings. 9)You will now have to reboot to see the changes. 8)Left Click OK to Complete. 9)You will now need to reboot the PC to see the changes.